As of yesterday morning, the Swedish payments company iZettle was all ready for an initial public offering that was expected to value it at more than $1bn. That went out the window last night, when the US giant PayPal announced it had agreed to buy the company for more than double that. The $2.2bn deal is PayPal’s biggest acquisition to date, and will strengthen the Silicon Valley giant’s business in Europe, especially in the physical realm: iZettle deals in handheld card readers that connect to smartphones, allowing merchants to take transactions. While both sides seem happy with the deal, in some quarters it could be seen as another example of a European start-up not having the stomach to compete with a US rival. Despite the rise of ecommerce, the vast majority of transactions still occur offline, and iZettle’s star has risen as we move to a cashless and contactless economy: its revenues increased by 51% last year. Anecdotally, its card readers are much more visible at the burger vans and market stalls and can also be found in many of London 's Black Cabs. To PayPal, however, the business will give it much more of a foothold outside of the US: iZettle is mainly big in Europe and South America. The deal also comes at a time when rival payments group Square is moving outside of America. There is another angle to this deal, however: the potential feeling that, once again, a Silicon Valley giant has absorbed one of Europe’s top technology start-ups - and one that could one day be a competitor. Sales of many British tech companies have been seen as surrenders, rather than victories. 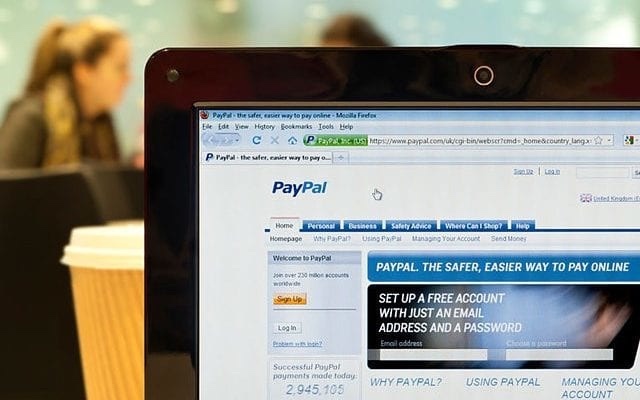 Critics, however, could pay heed to PayPal’s own story. The company was sold to eBay for $1.5bn in 2002, and was since spun off and is now worth more than $90bn. What’s more, the original investors in the company became the “PayPal mafia”, a group including Elon Musk, Peter Thiel and Reid Hoffman that funded many of today’s most successful tech companies.